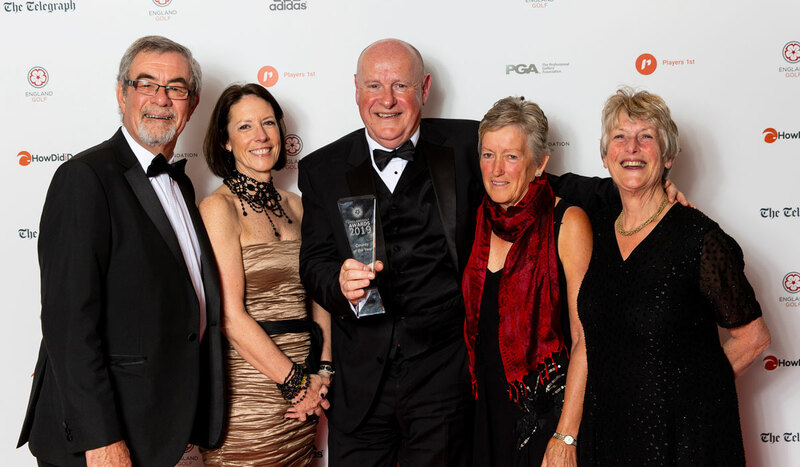 Wiltshire Golf was recognised at last night’s England Golf Awards 2019, sponsored by adidas Golf, a glittering black tie event at the Royal Lancaster London. Smith, who played for Wiltshire, England & GB&I until he turned pro and became a European Tour winner, sent a video message of congratulations. “I’m so proud of my county, Wiltshire. For such a small county we have definitely been punching above our weight! It’s got over 100 youngsters in its junior programme and it’s aligning its competitions so, for example, the boys’ and girls’ championships and the men’s and women’s county foursomes are played on the same course on the same day. It’s launching a 9-hole par three championship for all and hopes to attract 160 golfers for the day. At least 40 youngsters attend each of the nine events of the junior tour, run for players aged 12 and under who are high or pre-handicappers. It’s also got plans to relaunch its county card service for members, offering added benefits and new playing opportunities, including an order of merit. Wiltshire representatives (pictured) received their award from England Golf Board member Martha Brass (second left).